Flexible weft belts are produced at 3000mm width to make curved belts with only one splice. A special fabric is chosen to allow the same working load to be compensated along the weft and warp so that the curved belt performs similarly regardless of its moving direction. 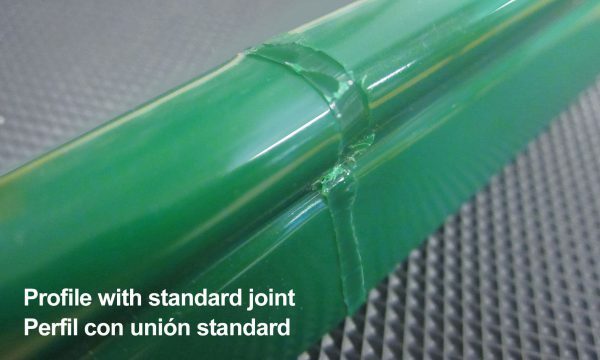 High dimensional stability facilitates the transfer of the conveyed product. 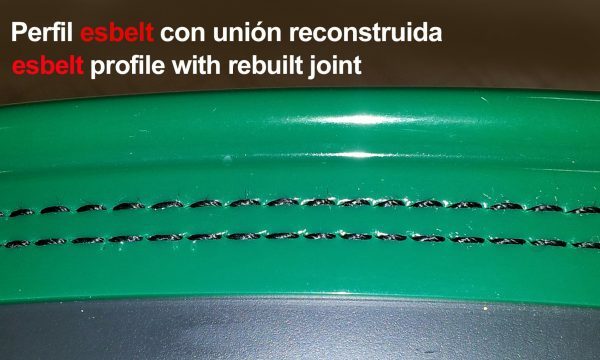 Possibility to attach a special lateral profile to the curved belts with a regular and smooth joint. Most common belts: F21AF and F21NF for airports and logistics centers which also comply with ISO284 anti-static and ISO340 anti-flame norms. Commonly used in airports, logistics centers as well as factories which require curved conveyors to save space and to allow for quick transfer of goods. In esbelt, we have researched and developed belts for such curved conveyors. These belts are made of special fabrics which when installed, function correctly regardless of the moving direction as the working loads are compensated along the weft and the warp (the belt does not bulge on the return side of the conveyor). Esbelt belts provide reliable parcel control in curved and spiral belts, as well as on inclining or declining conveyors. The possibility to obtain a curved belt in one piece and with only one splice, improves its dimensional stability and guarantees the smooth transfer of products without varying its orientation. Flexible, strong, stable and reliable. Capable of withstanding significant flex fatigue during operation.